s the muscle confusion myth like the Loch Ness Monster, the stuff of hoaxes and wishful thinking? Discover the facts behind the fiction. As kids, we all love stories. An important part of growing up, they illuminate our lives with glittering imagery and fire our imaginations with the promise of adventure. In short, stories make childhood magical. Fast-forward to adulthood, and we never completely grow up. Still able to enjoy a good yarn, we eagerly digest the latest bestseller on our summer vacations, or happily visit the cinema to catch the latest movie releases. It's a fact: even as grownups, we never tire of a good story. But what happens when stories become myth? One such story that has become myth and urban legend is the Loch Ness Monster. 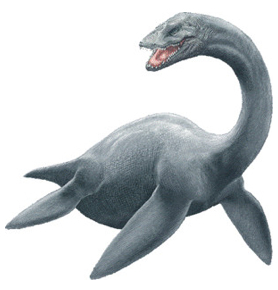 For those who don't know the tale, "Nessie", as she is affectionately known, is a monster said to live in the depths of Loch Ness in Scotland. Yet despite reported sightings going back as far as 565AD, this monster remains frustratingly illusive, leading the scientific community to regard Nessie as a modern-day myth and mixture of hoaxes and wishful thinking. Could the muscles confusion myth fall prey to the same accusation, or is there some fact behind the fiction? In simple terms, this type of training proposes the frequent changing of routines and/or exercises to promote a muscle building response. This protocol is borne from the belief that muscle development will "stagnate" if the trainee persists with the same unchanged program for any lengthly period of time. For instance, you might consider swapping squats for leg presses to target the legs, or the bench press for the parallel bar dip to work the chest. Such variations - according to the theory - "confuse" the muscles and force them to adapt in some way that does not happen if you perform the same exercises all of the time. So does this style of training work, or is it a myth like the Loch Ness Monster? Science tells us, every muscle in the human body can do only two things; contract or relax. That's what muscles are designed to do. When you bend your arm, your biceps contract. To straighten your arm, your biceps relaxes and your triceps contracts. Fact. Knowing this, how does your biceps muscle know the difference between lifting a barbell vs a dumbbell? The truth is, they can't. Muscles only grow bigger and stronger in response to lifting progressively heavier weights. HEAVY DUTY author and bodybuilder Mike Mentzer supports this by stating: "A muscle is a muscle with its own distinct identity and qualities. It is not a mind, despite one popular bodybuilding principle of muscle confusion." Like the Loch Ness Monster, it would seem we never tire of a good story.